Sometimes my friends ask me why I have decided to become a data scientist. My answer is almost always short: 'Because it is the most interesting job in IT nowadays'. I have a strong mathematical background from university and I have always wanted to work on unique solutions which bring something new to clients. My first job was an ERP (enterprise resource planning) programmer where I learned a lot from experienced people but I felt that I wanted to try something more interesting than regular programming. That's why I decided to change my position and applied for a data science job. 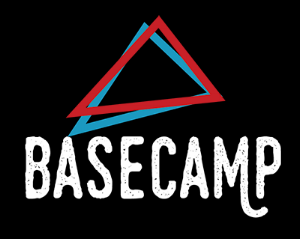 The New Year is already here and the next edition of Basecamp will follow shortly. However, just before moving on, we want to reminisce a bit about the old one. For this occasion, we interviewed one of our alumni – George Burry. Are you interested in Data Science? Great! That is something we have in common. We have been helping people become Data Scientists through our bootcamps and online courses for some time now. But education is only one part of being a great Data Scientist. With new technologies, tools, trends, and techniques emerging every day, you just have to follow what's going on in the Data Science world. Although I have a PhD in physics and have spent 10 years of my life achieving it, I now work as a Data Scientist. I made the transition a year ago and today I want to share my thoughts on this extreme turn in my career.